Treat your special someone to waterfront views at Ray’s this Valentine’s Day! 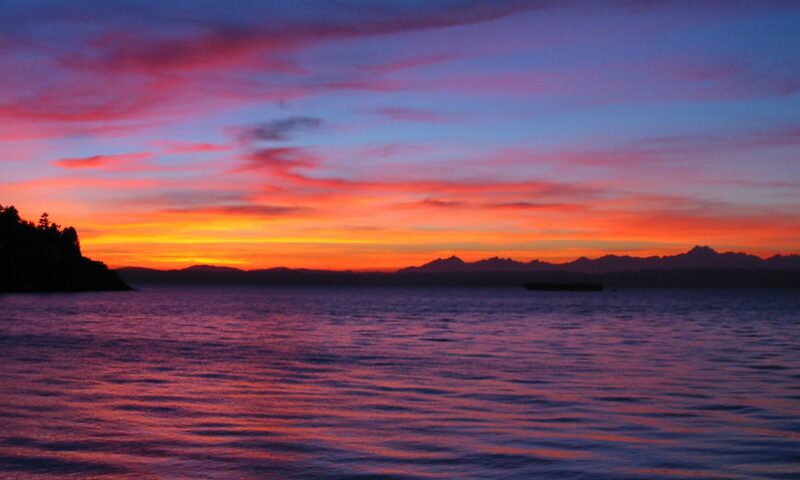 Shilshole Bay and the Olympic Mountains make the perfect backdrop for a romantic night out in Seattle; and our menus of fresh, sustainable PNW seafood and local ingredients will delight until the very end. Couples are invited to take in spectacular views in our first floor Boathouse restaurant as you indulge in a delicious three-course seafood menu created by our Executive Chef Paul Duncan. The three-course menu is $65 per person excluding tax and gratuity, and will be available Thursday, February 14 to Saturday, February 16. Our regular Boathouse menu will also be available on these dates. Guests are encouraged to reserve in the Boathouse from 5-9 p.m. or you may dine in the bar on a first come basis. To reserve visit rays.com/boathouse. Located upstairs from the Boathouse, our casual waterfront restaurant and bar is offering a special a la carte menu this Valentine’s Day weekend alongside our regular Cafe menu. Enjoy gorgeous views on the Seattle waterfront as you feast on fresh, local seafood. The a la carte menu will be available Valentine’s Day weekend Thursday, February 14 to Saturday, February 16. Guests can reserve in the Café from 11:30 a.m.-9 p.m. or dine in the bar on a first come basis. For more information and to reserve visit rays.com/café.